In a shaker, add ice, gin, simple syrup, jam, lemon, and rosemary leaves. Shake vigorously to combine. Strain into a chilled glass and top with club soda. 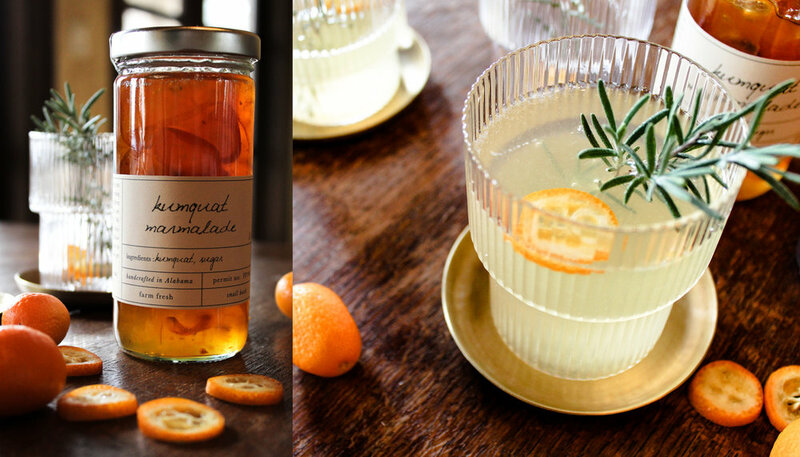 Add a sprig of rosemary and a slice of kumquat for garnish. In a shaker, add bourbon, simple syrup, and crushed ice. Shake until chilled. 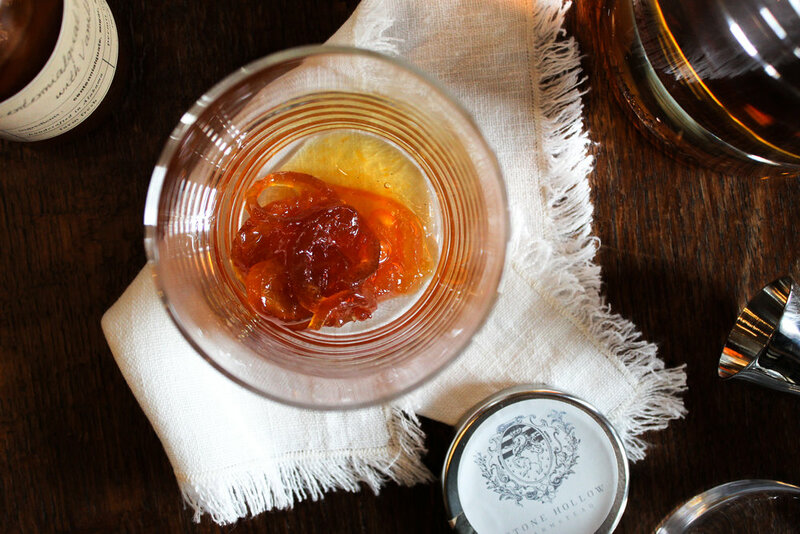 Add Centennialquat Preserve with Vanilla to the bottom of your rocks glass and pour shaker content over the preserves. Stir until well blended. Garnish with a twisted lemon peel. 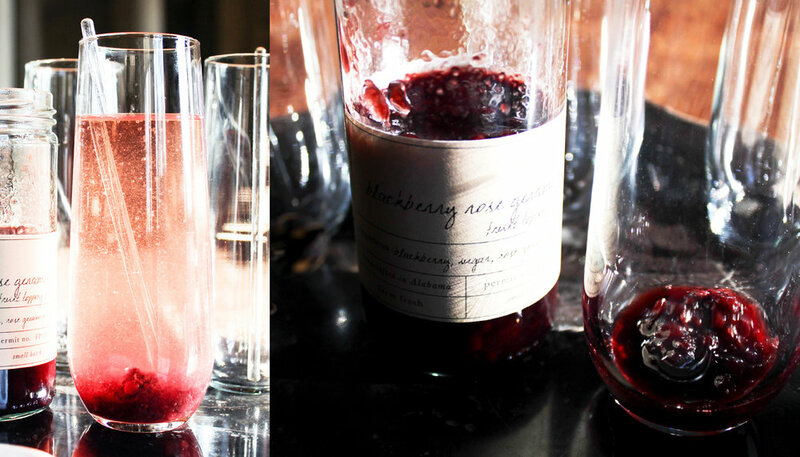 Pour the fruit topping into the glass and pour over your Champagne slowly.